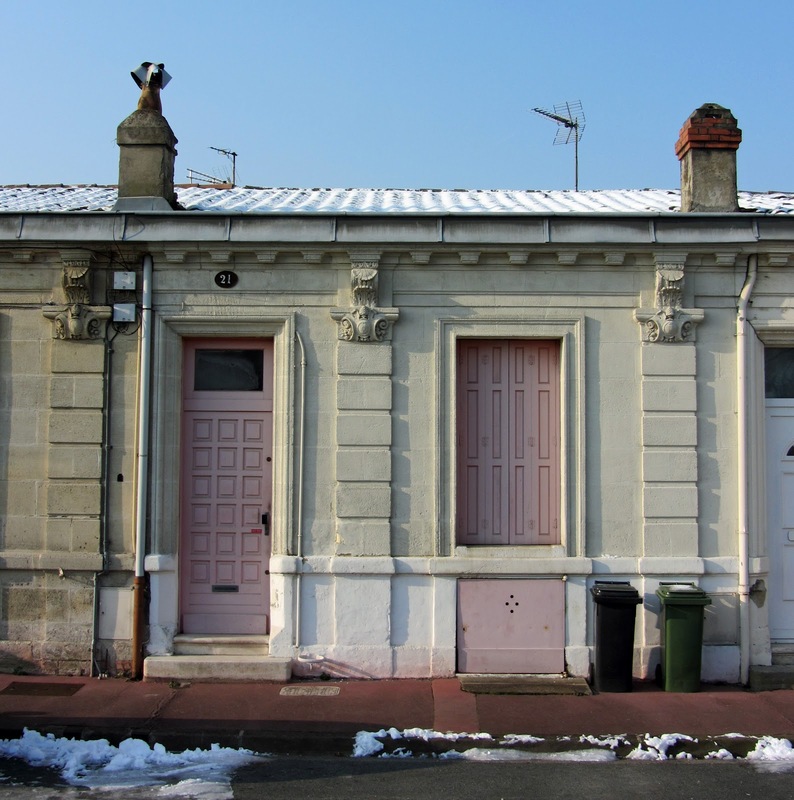 In the residential quarters of Bordeaux and its immediate suburbs, the streets are dotted with single-storey houses that all share a similar design, and yet are all somehow unique: échoppes bordelaises. The word itself has Occitan roots, descending from “choppa”, which was used in reference to a shop or workshop. As far back as the 15th century, “échoppes” in Bordeaux provided a home and working environment for shop-owners and craftsmen. 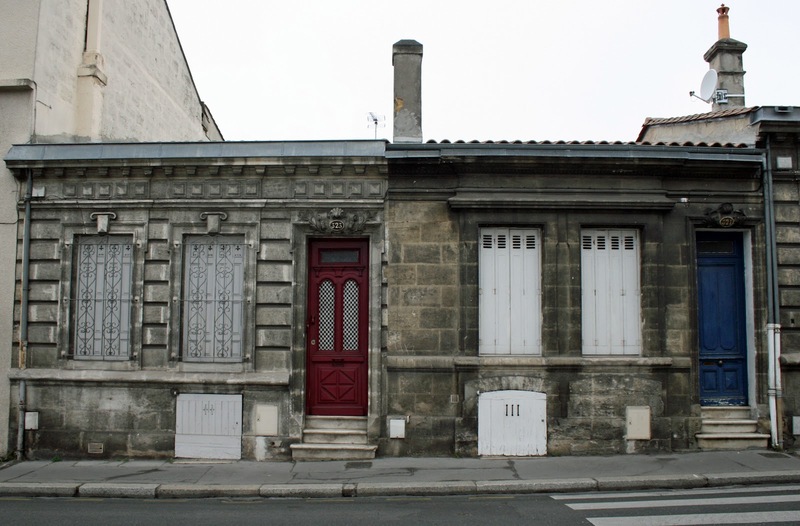 It is from the 18th century onwards that the city’s échoppes began to be used solely as townhouses, with the lion’s share of the city’s 11,000 échoppes being built between 1850 and 1930. 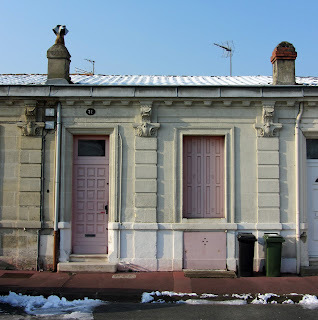 In many districts, they were traditionally inhabited by the working classes (particularly near Saint-Jean station, where many of the railway workers, les cheminots, set up home), although over the years the social lines have become blurred – many are now clearly bourgeois townhouses. 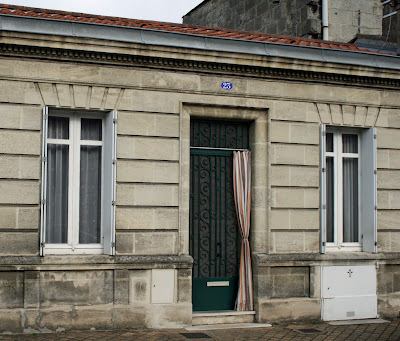 The distinguishing features of an échoppe are as follows (although they are not all necessarily present on a given échoppe): ornate cornice moulding crowning the façade, moulded designs framing the door and windows, sculpted features above the door - often encircling the house number, a wooden panel with (sometimes decorative) air-holes covering the opening to the basement… with special bonus points available for a boot scraper and/or a timelessly-designed curtain hanging outside the front door. The main construction material is the distinctive cream-coloured Bordeaux stone, known as “pierre blonde d’Aquitaine” (more of which in coming weeks). Although there are occasional exceptions, most échoppes fall into one of two main categories: single or double. 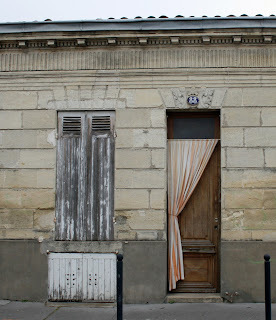 The façade of a single (échoppe simple) is between five and six metres wide. Behind the front door is a corridor which gives onto a bedroom (with a street-side window), a middle room where the sun never shines (known as “la pièce noire”, the dark room), and the communal cooking, eating and living quarters at the back of the house. An “échoppe double” clocks in at eight to ten metres in width, with a central corridor giving onto either four or six symmetrically-positioned rooms. 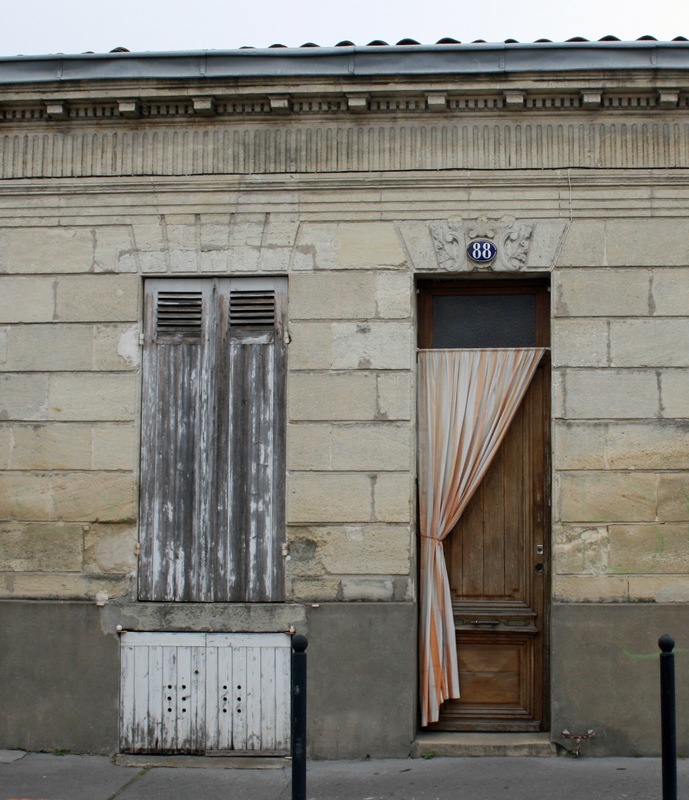 A veranda or “souillarde” (additional extension mainly used for cooking) has been tagged onto the back of many échoppes, while the small back gardens often feature fruit trees (cherries, pears, figs). Meanwhile, the basement provides valuable storage space and is now often used as further living space. 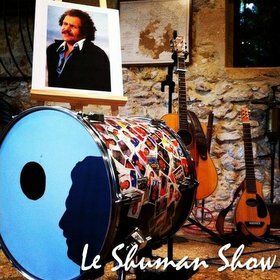 If you are keen on échoppe-spotting, the best area is arguably in the side-streets between Rue de Bègles and Rue Amédée Saint-Germain, in the vicinity of Saint-Jean station. It is these houses (as pictured above) that were once the stronghold of les cheminots. Other areas of note are the Nansouty district around Cours de la Somme, and the Saint-Augustin district near Stade Chaban-Delmas football stadium. 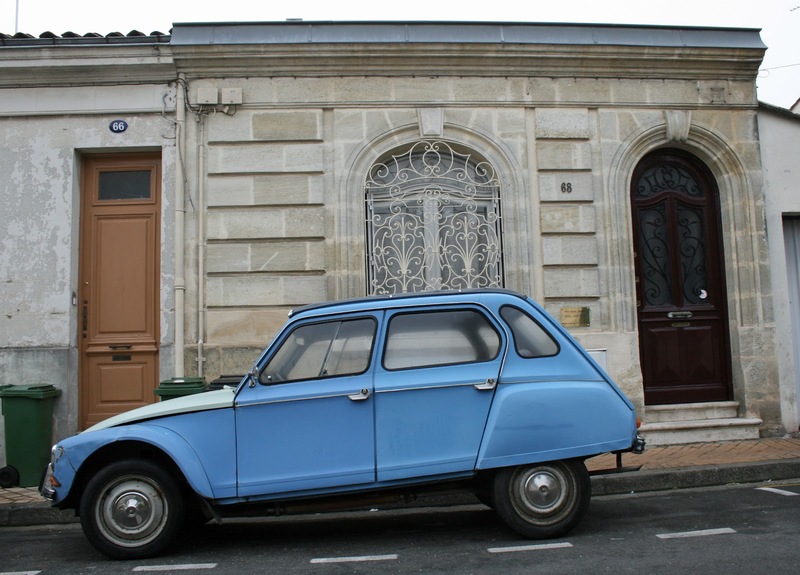 Immediate suburbs such as Talence and Le Bouscat also boast a number of interesting échoppes of their own. 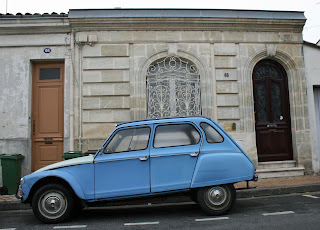 Rue Victor Brillon, Le Bouscat. Researching this piece, I was pleased to come across a couple of websites that are dedicated to the échoppes of Bordeaux: Bordeaux Échoppes, which includes historical information and itineraries through the aforementioned districts, and the more commercially-minded Le Site de l’Échoppe Bordelaise, which is run by a confederation of estate agents and gives an idea of how échoppes are versatile enough to be converted to suit demanding 21st-century tastes! Find them: with there being 11,000 échoppes to choose from, there are plenty of options, but one good starting point is Rue d'Aubidey! 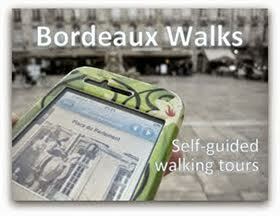 View a full photo report and a shorter French-language version of this article on the Bonjour Bordeaux website. Ah, I've often wondered about the reason behind this design. Extra bonus points indeed for getting a picture of a curtain in front of a door, but what's the thinking behind that?